Over 100 years ago, federal and state policies encouraged the settlement of the high desert by facilitating access to land and irrigation water. In many cases, the state gave out more water rights than existed in the river in dry summer months. This water has allowed our region to support the diverse agriculture that has been so important in Central Oregon. At the time, the construction of a vast canal system that brought the desert to life was a major victory. Today we are seeing the unintended consequences of these actions. As water rights were given away, little thought was given to the flow needs of the river. Many streams experience low or altered streamflows. As our communities have grown, there are competing needs for water for people, cities, farmers and fish. In the Deschutes Basin, we have always solved problems around water collaboratively. That is our defining principle. In 2015, a diverse group of 40 stakeholders saw a need to manage water better into the future and applied for a $1.5 million basin study funded through the Bureau of Reclamation and the State of Oregon. 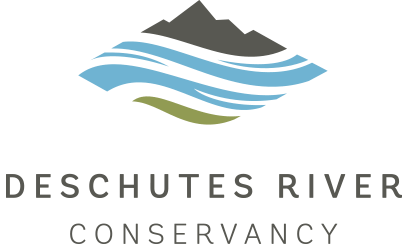 This group has successfully co-managed the Study with the Bureau of Reclamation throughout its three-year duration which is a testament to the commitment to collaboration in the Deschutes Basin. The study is funded by the Bureau of Reclamation and the Oregon Water Resources Department. While the study does not recommend any particular plan, it provides a wealth of information to help basin partners solve the problem. So, what have we learned over the past three years? We have enough water in the basin for rivers, farms and cities and we know the tools we need to use. Implementing these tools at the necessary scale will require a major investment, financially and culturally. Please take the time to understand how water is managed in our basin and how that affects our river system. Share your feedback on the tools available to bring balance to the basin. Help us shape the outcomes. Support the solutions as we, as a basin, move forward, beyond the study, with developing and implementing strategies and actions. Become part of this collaborative process. Lend your voice and your support.